It is vital for a business to have a professional, effective website. Many times there won’t be any marketing success without one. Regardless of the size of your business, your website is a very important part of the puzzle whenever you’re attempting to attract visitors to your business so that you can make sales. What this basically means is that your website needs to be designed, developed and managed in such a way that you’ll profit from it. A “profitable website” is one that can attract qualified leads and turn your existing customers into repeat customers. A key factor in internet marketing for local businesses. One way in which you can be sure that your website is as good as it can be is to look at your competitors’ websites and check out what they’re up to. After all, these are the businesses that you’re competing with whenever consumers go online looking for the type of product or service you offer. Therefore, it’s in your best interest to compare your marketing efforts to theirs. So, how do you know which businesses to pay attention to? If you’re asking yourself this, then you’re asking yourself a great question. The answer is to simply go to the search engines and type in some keywords that are related to your business. Then look at what businesses come up on the first page. Those businesses without websites shouldn’t be of any concern to you since you’re already way ahead of them. Instead, focus your upon those businesses with websites. As you go to these websites, think about what your first impression of them was. Did they have a nice lay out? Was it easy to navigate and informative enough to solve common issues? Or was it a big mess? Was it full of too much text that had no value to it whatsoever? Was there a strong call to action or did you feel lost? Make sure you take notes on the things that you did and did not like about these websites. Afterwards, you should no longer be concerned about those businesses that had bad websites. Now you need to pay attention to those websites that you know could be competition for your business. Check out how high each of them comes up in the search results. While it’s great to have a beautiful website, it won’t be effective in generating cash for your business if it doesn’t receive any traffic. Once you have taken the time to create a list of those businesses within your niche that have websites that are nice looking, filled with informative content and are also very visible within the search engines, it’s time for you to develop a plan to create or improve your own business’ website. 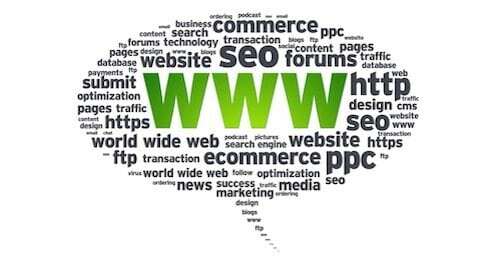 Part of doing so should include Internet marketing for local business.